PARIS ― The United Arab Emirates plans to order an upgrade for its fleet of Mirage 2000-9 fighter jets, Dassault Aviation said Tuesday. 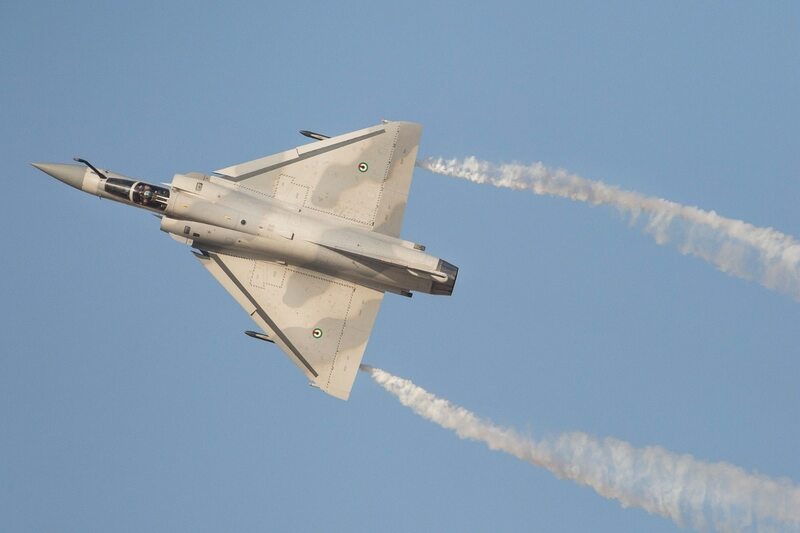 “Today, during the Dubai Airshow, the United Arab Emirates Armed Forces have announced their intention to sign with Dassault Aviation a contract for the upgrade of their Mirage 2000-9 fleet,” the company said in a statement. The modernization would cost some €300 million (U.S. $350 million), website La Tribune reported from the air show. An order for the Rafale fighter jet is expected in the wake of the upgrade of the 62-strong fleet of Mirage 2000-9 fighters, the report said. Click here for full coverage of the Dubai Air Chiefs Conference and Dubai Airshow. France has long sought to win a UAE order for the Dassault Rafale, but has yet to secure a contract from the Gulf state for the twin-engine fighter. That sale prospect may well have receded in view of talks between the U.S. and the UAE on a potential sale of F-35 Joint Strike Fighters, as announced by U.S. Air Force Vice Chief of Staff Gen. Stephen Wilson at the air show. “Dassault Aviation, which has been a reliable partner of the UAE for over 40 years, is fully committed to meet the operational requirements and to support the strategic challenges of the UAE AF & AD [Air Force and Air Defence Force] for the coming decades,” Eric Trappier, Dassault chairman and CEO, said in a statement. Over that time, the UAE flew the Mirage 5 and Mirage 2000, with the latter upgraded to the 2000-9 multirole version. A Dassault spokesman had no further comment on the planned contract. Some 40 French companies are taking part in the regional air show, supported by GIFAS, the French Aerospace Industries Association said in a statement. Those firms include prime contractors, equipment manufacturers, small and medium enterprises, and maintenance specialists. Those companies are displaying offerings in the French pavilion or their own stands.